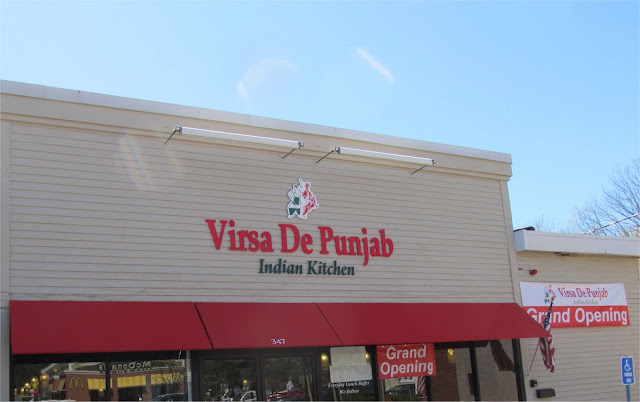 Virsa De Punjab Indian Kitchen located at 347 Great Road (previously occupied by Firebox BBQ) held it's grand opening on April 27th. I recently spoke with Kishan Singh, one of the owners. Kishan and his best friend Baljit Singh have had a long time dream to open up a restaurant together. They both grew up in the India state of Punjab and relished the flavors of their families kitchens, always viewing cooking as a passion. Shortly after arriving in America in 1985, Kishan got his start as a bus boy at the Windows on the World restaurant which was located on the 107th Floor of the North Tower of the World Trade Center in NYC. He was quickly promoted to Captain (a Captain typically oversees a group of tables along with a team of busboys and waiters) and since then has had extensive experience managing several restaurants. According to Kishan, Baljit has over 15 years experience in the restaurant industry. Last year, they agreed the time was right and decided to move forward and open up a restaurant. They thought Bedford would be a good place to do so. Kishan described the Virsa De Punjab menu as being focused on North Indian cuisine that is rich in spices. The head chef hails from the Five Star Sun-n-Sand Hotel at Juhu Beach in Mumbai India. They have a few specialties such as Black Pepper Chicken with Sour Cream and Tandoori Rack of Lamb. Virsa De Punjab offers a Lunch Buffet (along with a regular lunch menu) from 11:30 am until 3 pm during the week and a brunch on Sundays. 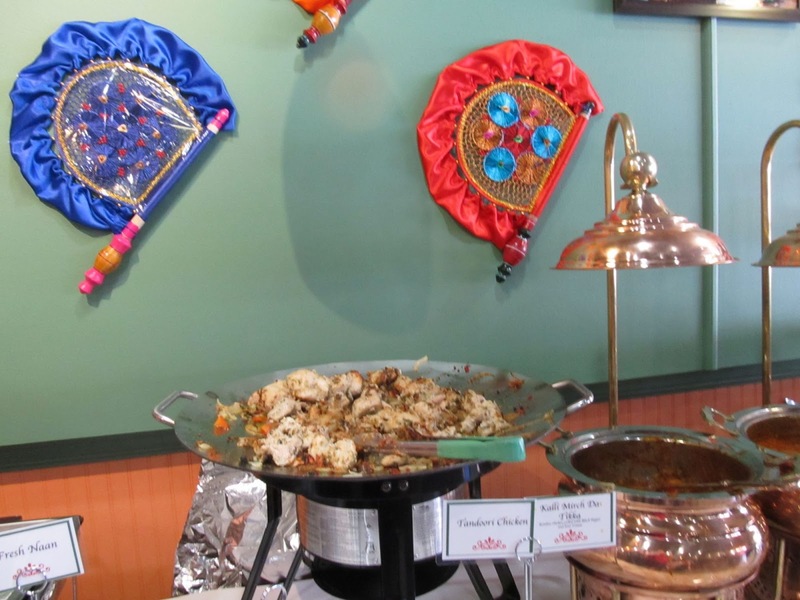 According to Kishan, the Buffet is more extensive than most other Indian Restaurant with over 20 items with about half of those vegetarian. The restaurant, which has a full liquor license, consists of about 40 seats plus six seats at the bar and provides free WiFi to customers. Along with takeout, they also offer free home delivery as well as corporate catering. The establishment is open from 11:30 am to 10 pm seven days a week. There seems to be a lot of interest in Indian Food as this is the second Indian Restaurant to recently open in Bedford (Holi opened just over one year ago). This location has been a number of restaurants over the past ten years and is a little bit challenging as it's hard to see from the road. Key to the restaurant's success will be attracting employees from the nearby Wiggins Avenue Business District in Bedford as well as Hartwell Avenue in Lexington to come in for lunch or after work for dinner. Their website auto-plays music that cant be turned off and it plays the same music on EVERY SINGLE page loaded. They should get a refund from the site designer. They did an amazing job with opening day. Many people came to check out the new restaurant and to enjoy a free lunch buffet (opening day only). Despite being very crowded and their first day they were extremely organized and kept the buffet filled with fresh, hot food. On top of all that the food was delicious! I am very excited to try it again with my family. Adam - Can you please change that. Well, I have got the best information from here the site is fully stuffed with the knowledgeable information. I feel really finicky reading these articles I mean there are writers that can write reasonable stuff.